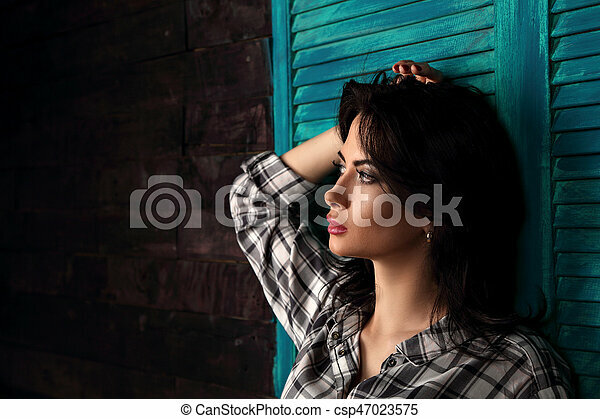 Pensive beautiful young woman profile in trendy black and white checkered shirt thinking about destiny on blue wooden doors background and looking. closeup portrait. 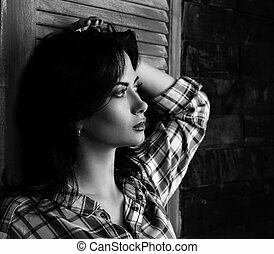 Pensive beautiful loneliness woman in trendy black and white checkered shirt thinking about destiny on wooden doors background in dark and looking. Short hairstyle.